The Cummer Museum of Art & Gardens is the largest fine arts museum in Northeast Florida. 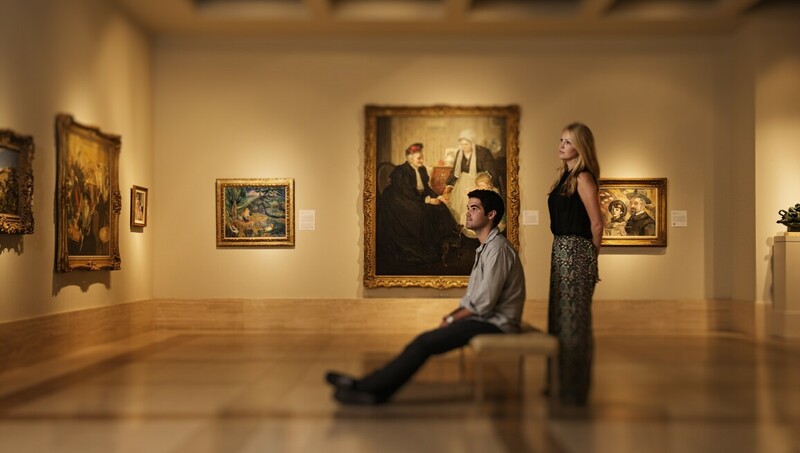 With a collection of more than 5,000 works of art spanning from 2100 BCE through the 21st century, special exhibitions from around the world and two acres of historic gardens set along the St. Johns River, the Museum offers a world-class experience for all to enjoy. The Museum provides many ways to connect with the power of the arts and the joy of creation. While on the Museum campus, you can view ancient wonders, old masters, and contemporary artists, unique examples of 20th-century garden design, and the majestic Cummer Oak, which is approximately 200 years old. oil on canvas, 95 x 67 in. oil on canvas, 41 ¼ x 33 in. oil on canvas, 64 ¾ x 115 7/8 in. oil on copper, 11 x 9 ½ in.